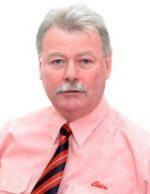 Jeff has been involved in the financial services industry for over 34 years, and a financial planner since 1988. Jeff holds a Foundation Diploma of Financial Planning as well as an Advanced Diploma in Financial Services (Financial Planning). He is an Associate Member of the Financial Planning Association. Jeff has obtained accreditation to advise on Self Managed Super Funds and Sequal (Equity Release Products), as well as being accredited to advise on Salary Packaging both nationally and on behalf of Qld Government through Remserv. Jeff has lived in Gladstone since 1995 and has had experience in a wide range of Banking, Financial Planning and Life Insurance services, especially in rural areas. As an Authorised Representative, Jeff believes in helping his clients build a comprehensive program to make the most of their earning potential during their working years, as well as helping them with their retirement planning, superannuation, managed investments and estate planning needs. He achieves this by striving to provide quality advice, personalised service and practical ideas to deliver superior solutions.